Bharat Earth Movers Limited, now known as BEML, is an Indian public sector undertaking, with headquarters in Bengaluru. It manufactures a variety of heavy equipment, such as that used for earth moving, transport and mining. Senior Manager: Applicants who have completed First Class Engineering in Electrical or Electronics from a recognized University or Institution or equivalent from a recognized Institute for BEML Recruitment 2018. Manager: Applicants who have completed First Class Engineering in Electrical or Electronics from a recognized University or Institution or equivalent from a recognized Institute for BEML Recruitment 2018. 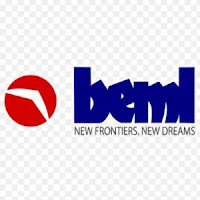 Assistant Manager: Applicants who have completed First Class Engineering in Mechanical or Electrical or Electronics from a recognized University or Institution or equivalent from a recognized Institute for BEML Recruitment 2018. Engineer: Applicants who have completed First Class Engineering in Mechanical or Electrical or Electronics from a recognized University or Institution or equivalent from a recognized Institute for BEML Recruitment 2018.